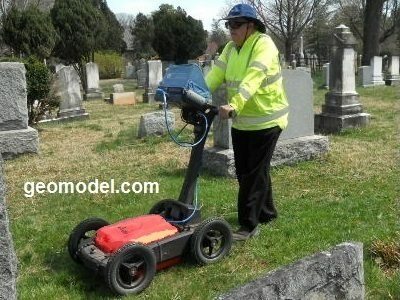 GeoModel, Inc. can locate known (marked) and unmarked graves in cemeteries using Ground Penetrating Radar (GPR). 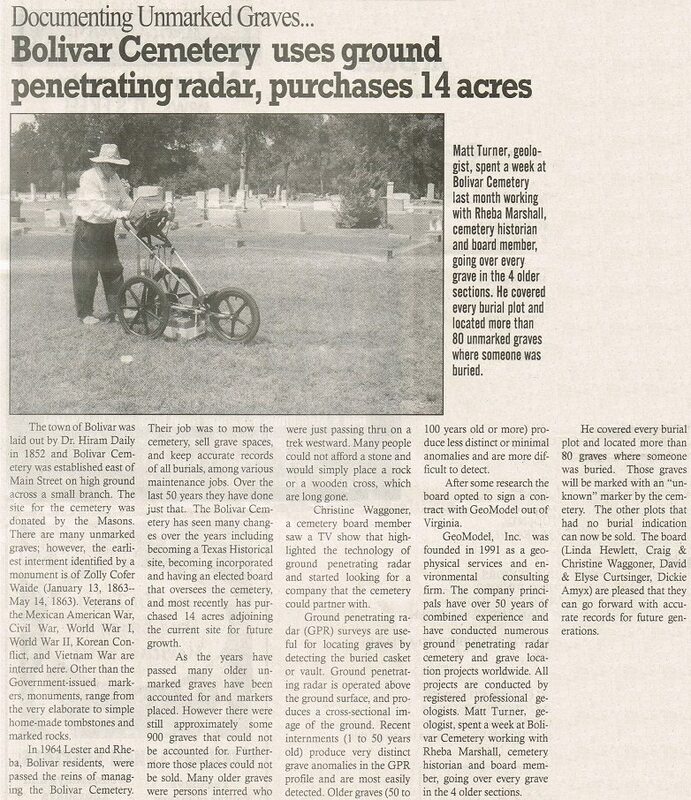 During the grave detection survey, the located graves are marked on the ground with paint, and can be subsequently plotted on a map of the cemetery (called grave mapping or cemetery mapping). Some cemeteries are hundreds of years old and unmarked graves can be common. Misplaced or poorly positioned headstones or markers can further complicate matters. 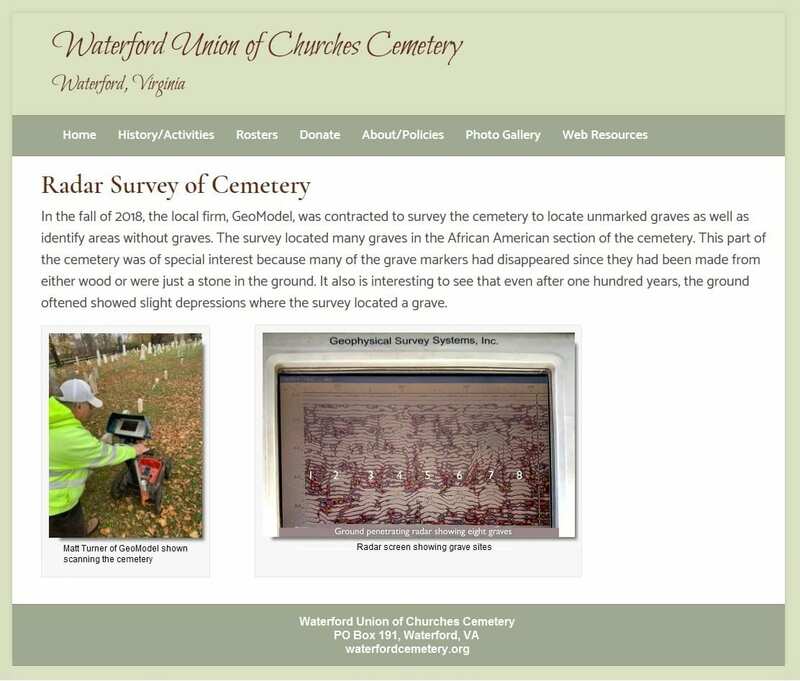 Records are often vague, lost, or incomplete and there may be questions about the precise extent of a cemetery. There is often no surface expression of the burial location. Due to the sensitivity of these sites, the challenge is to explore the subsurface without disturbing the soil and burials. 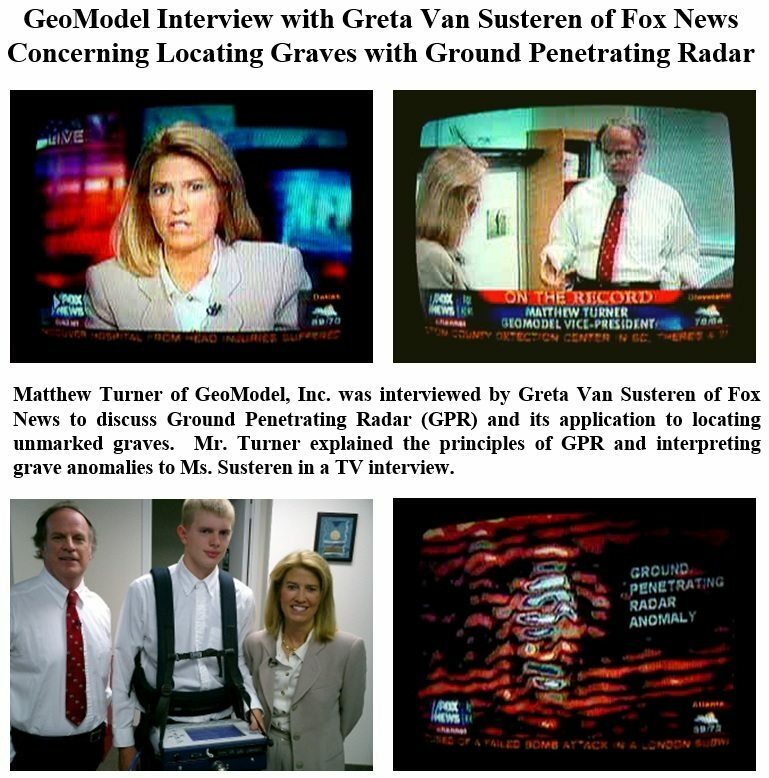 GPR is the only viable non-destructive method used for grave detection. 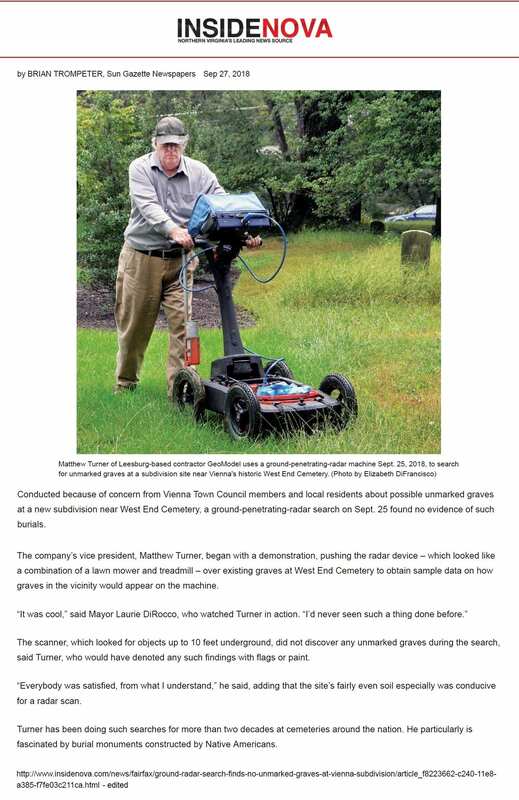 Recently, GeoModel, Inc. carried out a grave detection survey at the Gallatin City Cemetery in Gallatin, Tennessee. 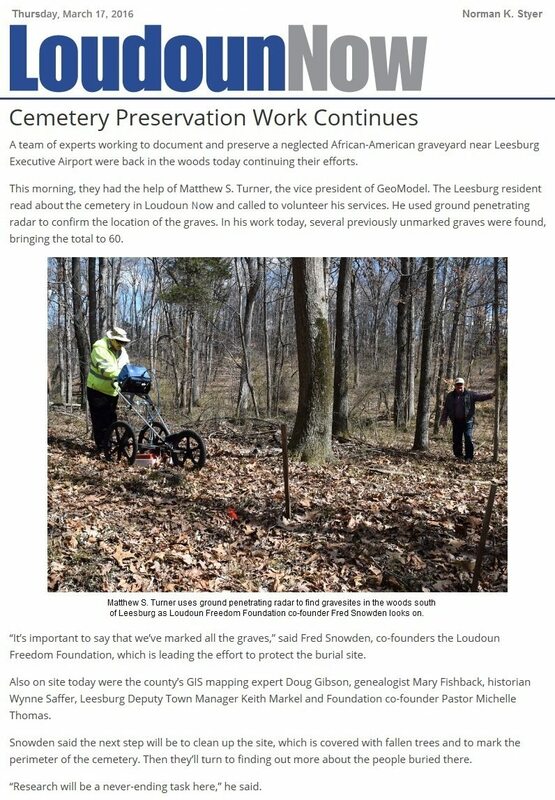 The survey was conducted in the older slave section to locate unmarked graves in order to identify and accurately map the locations of each grave. 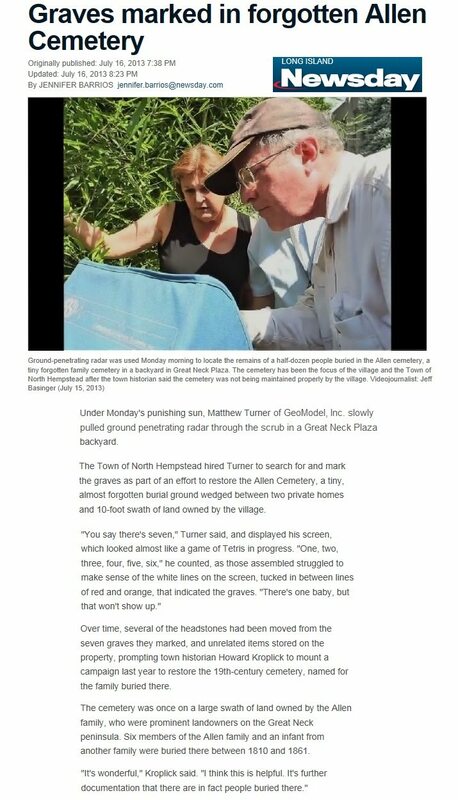 Hundreds of unmarked graves were detected in the 4-acre area that dates back to the 1800’s. 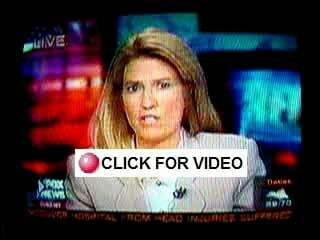 The link to a video on NewsChannel5 is below, and an article in the Tennessean newspaper is further below. 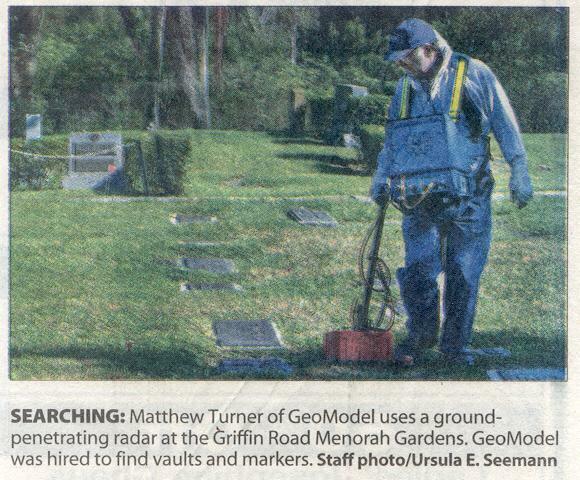 How Accurate is Ground Penetrating Radar to Detect an Unmarked Grave for Cemetery Mapping? 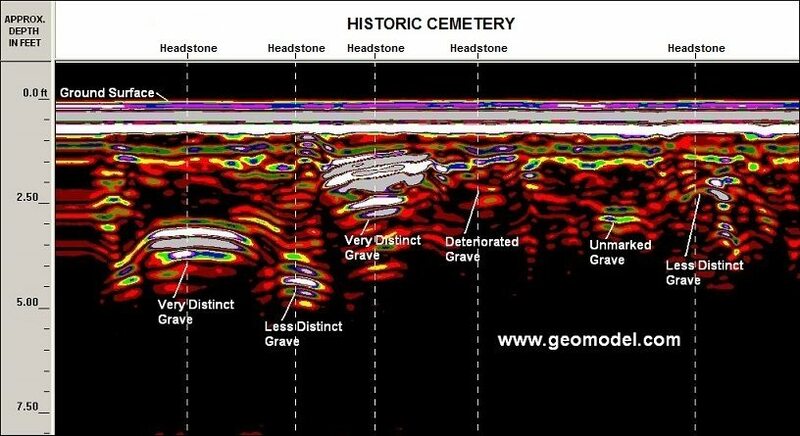 Recent interments (1 to 50 years old) generally produce very distinct grave anomalies in the GPR profile and are most easily detected. Older graves (50 to 200 years old or more) produce less distinct or minimal anomalies and are more difficult to detect. Remains of burials are easier to locate in sandy soils that do not contain tree roots or stones. 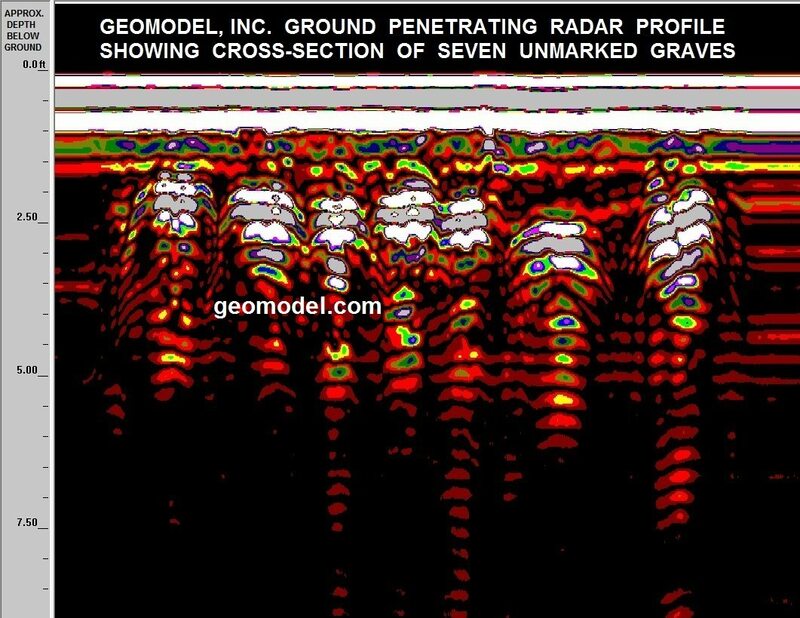 In cases where a vault or casket does not exist, or where the casket has completely deteriorated, GeoModel, Inc. can examine the GPR data for disturbed soil, grave trenches, or other indications of the burial. Many cemeteries have unmarked gravesites, old burials, and more recent burials, as shown in the ground penetrating radar image above from the historic Arlington Cemetery. 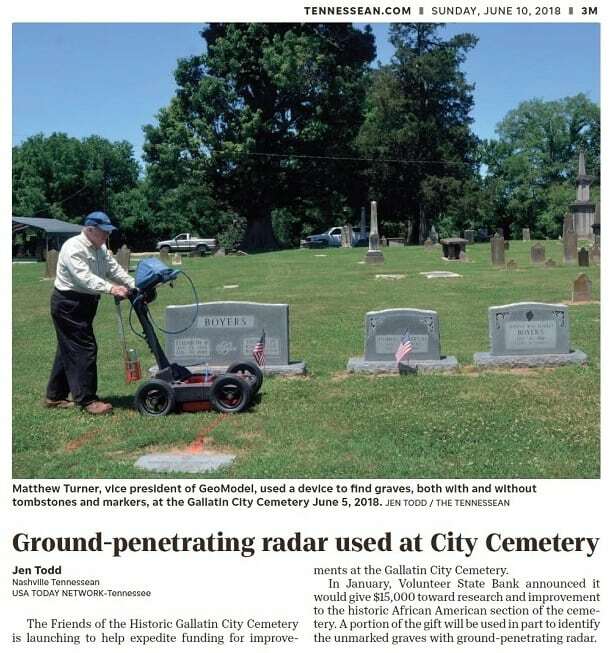 The position of detected graves can be marked on the ground or GeoModel, Inc. can provide cemetery mapping by plotting the locations of graves on aerial photos or mapping the graves on CAD drawings providing the client with clear, easy to understand results. 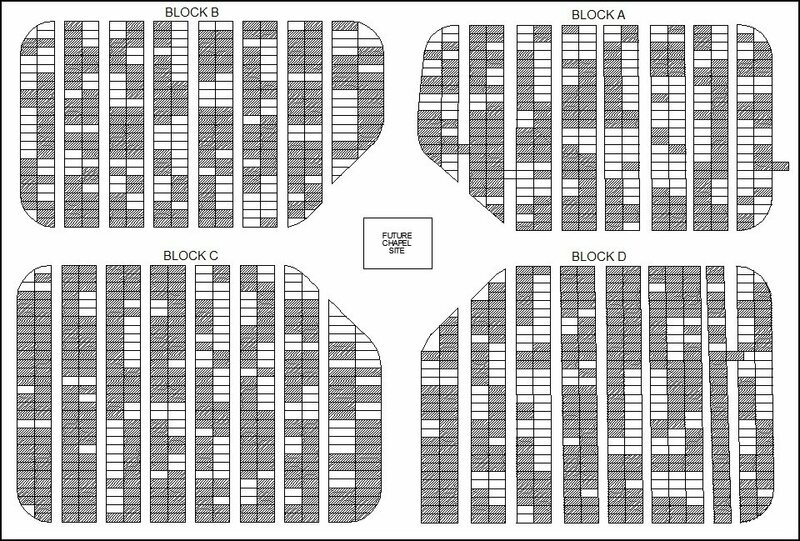 Some cemetery associations prefer GeoModel to provide cemetery mapping (grave mapping) which results in a cemetery map that has the occupied and vacant grave plots (spaces) mapped on their existing cemetery grave map, as shown below. 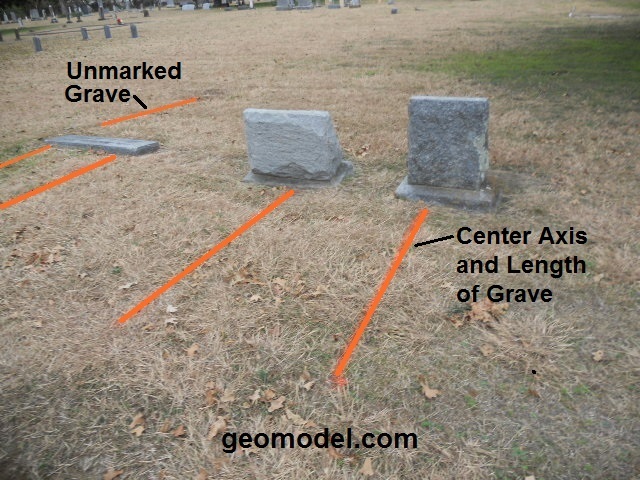 GeoModel, Inc. has conducted numerous unmarked grave detection and cemetery surveys that have significant interest to the local community, foundations, or government agencies. One of these, Menorah Gardens, has had national significance. 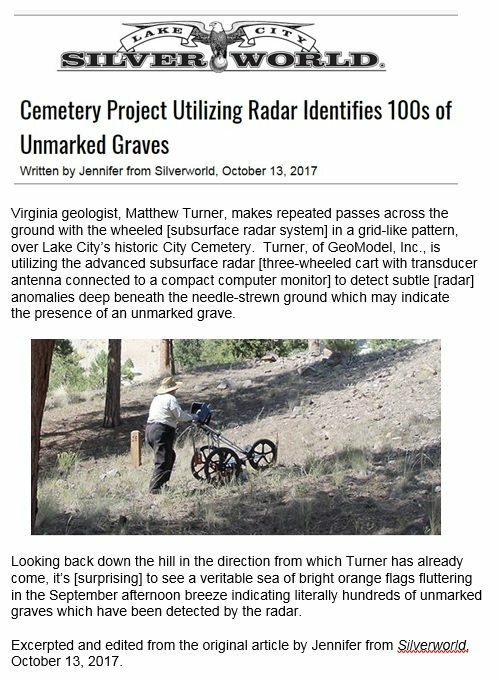 Below are a few of the unmarked grave locating and cemetery mapping articles.